My friend Malcolm Christopher Eckel turns 24 today. In honor of your birthday, Chris, I thought I’d pull out a couple pictures from back in the day. Those were good times. This was probably the greatest LEGO fleet we ever assembled. And it’s only a small fraction of everything we built. Bike ride somewhere in Virginia; I remember this bridge, but don’t know exactly where it is. 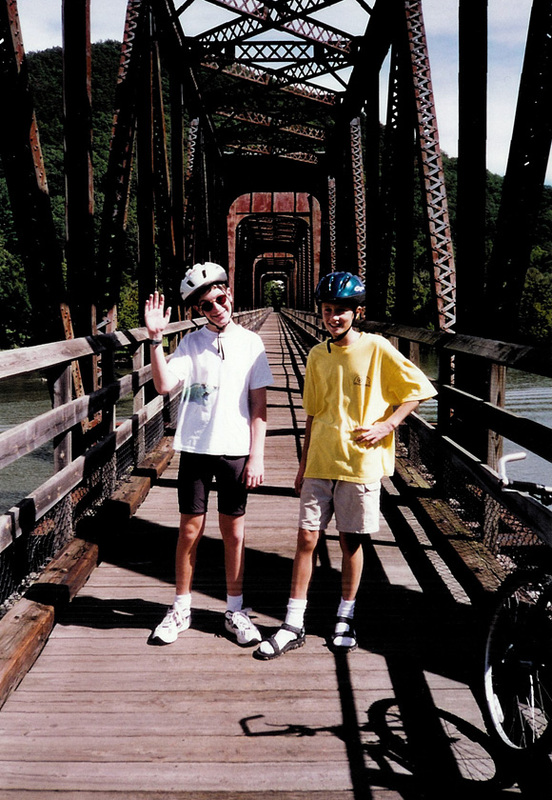 That’s Chris on the left and me on the right, rocking the socks and sandals. Aw, vince, you haven’t changed at all!